Welcome to Complete Weight Loss Solutions. Our team specialise in all aspects of weight loss surgery, and our primary goal to improve your health & well being and support you over the long-term. We started our clinic in 2008, and have supported many patients since then. We have also developed a great reputation for offering a welcoming & supportive environment for everyone we cross paths with. 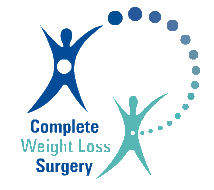 Past Patients of CWLS report high levels of satisfaction with our procedures & the support service we offer, and most importantly with the weight loss results.